There are 5518 posts in this topic. You are on page 110 of 111. In saying that, the podcasters wield so much influence on this hobby - JJP has figured that out as you can see with his launch of Wonka. And the coverage is all FREE. And as we have seen this week, it is not very hard to whip some people in this hobby into a buying frenzy. Very clever from Jack. 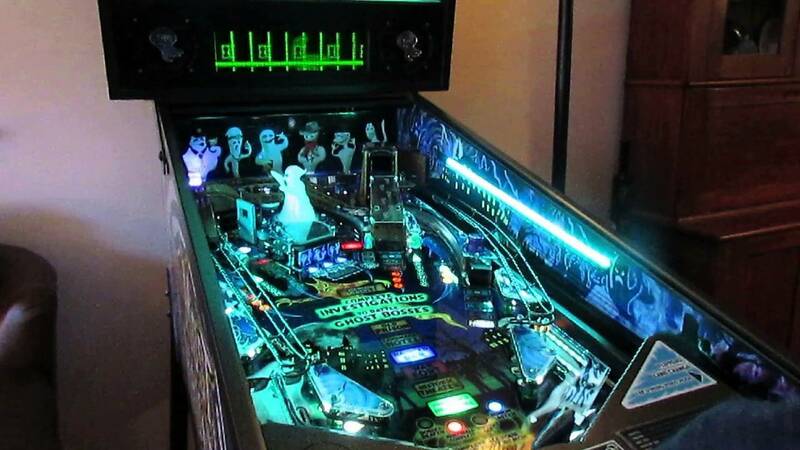 But not really, people buying pinball machines for $10k are MUCH smarter than listening to some dope drone on regarding whether or not they like a new pin or not. The pin will speak for itself, always. There might be a few stupid people that buy off of some podcast but it ain't happening in big numbers. Guys, these were our first impressions based on what we played at TPF, and not a full fledged review, and we labeled it as such. We’ll get a chance to play the game more later in the month in a home environment, and the owner is pretty excited about what it has to offer. I’m looking forward to it. There’s no doubt about it in my mind though that this is a tough game that is going to take a good amount of practice in a home environment to get good at. I appreciate that it’s got a unique layout and not the tried and true “two ramps, two orbits and a bash target” and I’m hopeful that the code will put it over the top. The game is certainly beautiful, there’s no doubt about that. Not every game is for everyone and that’s OK! They can’t please everybody, but I don’t care for some of Nick’s comments. in his last ones he came across arrogant about not giving a damn about his route games. Then they don’t mention anything negative about WOZ YBR? Don’t lose sleep off of this clip..
oh I'm not my man. I have played trilogybeer games a few times now and it's great. I have never bought NIB and I'm trying figure out how to put ACNC in my collection. 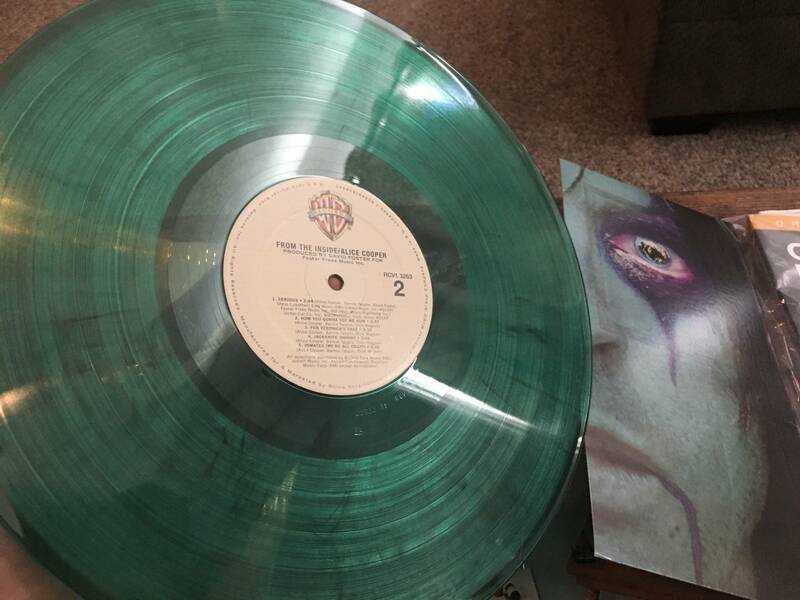 it's miles ahead of ROB zombie and i own one. Yeah well you sound like an arrogant ...... You are obviously just trying to put up some content on a podcast that makes zero sense after playing only a few games. No need to pander now and waffle after that pathetic review. Glad you like the truth. I'm getting tired of all these podcast dopes. If anyone who currently owns an ACNC who is unhappy with it I’ve got a Rob Zombie to trade straight up for your ACNC. Yes, we were warned it wasn't a full review, then we get to hear confidently pushed statements riddled with confusion..."way too tight...waaaay too tight..I don't get it...I don't get it...*huh!?! There's a Frankenstein toy in there?!?! *" A lot of it just doesn't come off as an opinion, but more like facts you're trying to convince people of, and to top it off with the *I'm a better than average player* statement comes off as *I'm more skilled than most of you listening, so take my word for it*. I could gripe about some things on RZ, and was worried about some aspects of ACNC before playing one, but they really knocked this one out of the park IMO, so to hear you guys say that Spooky needs to get a guy that has been designing games for 20 years to tell Charlie how to fix his mistakes comes off as very strange for me, particularly if Nick hasn't played enough games to know the most prominent toy feature exists--that start to the Frank multiball is awesome (being able to hear and FEEL that intro makes a difference compared to a stream as well). In my opinion, removing one of the shots would have diminished the game, not improved it as Nick claims. IMDN gets tons of praise (only other LCD era game I own), and it deserves much of it, but I find ACNC to be superior. It's loaded with satisfying shots and shots that change function (thanks to the diverters, drops, rear magnet, and Alice mode shot), and the use of subways is incredibly welcomed. Those aspects are a big part of why I love BSD so much, and ACNC is the game that feels the most like the B/W era to me since the 90s, so I'd be glad to see another game designed by Charlie in the future--his improvement from RZ to ACNC is remarkably significant (I expect that's some combination of more experience, some success behind him to risk taking it to the next level, and a stronger Spooky team overall [everything is better about ACNC]). That said, I do appreciate what Podcasters do and your show, but in this case, I have to agree with others that some things seemed a bit arrogant and off-putting. Again, this is largely due to the clear lack of experience with the game, where it's obvious the bold claims are merely assumptions being pushed as fact (closing with statements about it not being worth buying because you bricked shots with only one game on it isn't fair to Spooky--I'm NOT that great of a player and don't have that problem). 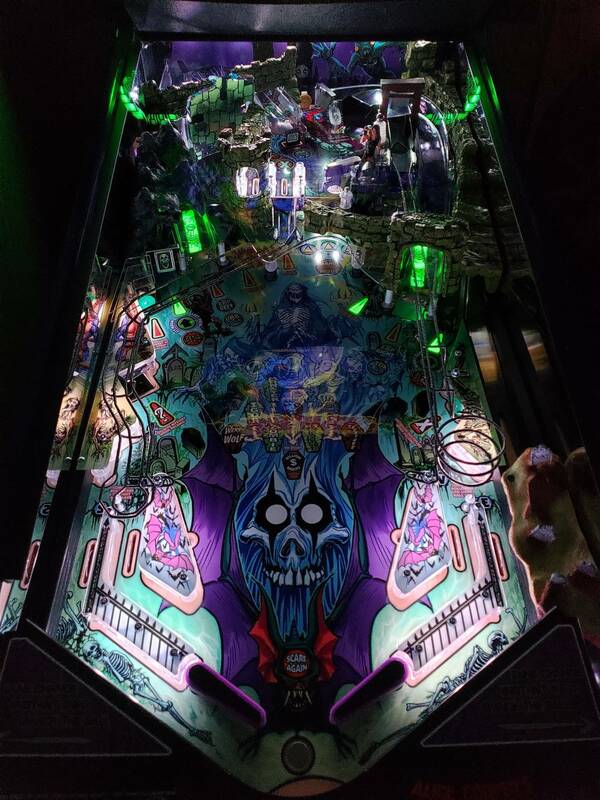 I played a bunch of different stuff at TPF and I can honestly say this was one of the top machines there IMO. This was probably the highlight of the show for me. Don't get me wrong I thought Munsters and Octoberfest were great games as well, but this ones way more my style and I dig the theme. While I was playing one of the guys at Spooky was explaining the game play and walking me though the shots I needed to make during the modes. This was actually incredibly helpful and added to the experience as normally when I walk up to a new pin I have no idea what I'm trying to do when I'm unfamiliar with the ruleset. This is way up on my list of pins I want to get. I will have 2 acnc in the booth at mgc this weekend. Minion AJ will be there to explain the rules and gameplay (same helpful guy that was in the spooky booth at tpf). Get some time on it. Backstory: I got lucky here. The game is actually not mine, but belongs to a good friend. The timing of it's arrival coincided with him being out of the country for a month, so rather than have it sit in a box, I was graciously given permission to unbox and dial it in. Knowing that I have limited time with it, I have been playing it like crazy. I'll focus mainly on sound, code and gameplay, but I will say that seeing the art and playfield sculpts in person was pretty unbelievable. It's REALLY nice and It really does create an immersive 'world under the glass', which draws you into the theme very well while playing. Sound: It's great overall! The main music fits the theme perfectly and blends in nicely. It's creepy sounding and builds dynamically as you complete different objectives. It isn't distracting or annoying, and I've found that it just adds to the gameplay experience in a positive way. I especially like that every shot has an effect tied to it. The slings have a cool chain sound when they are hit, and even the ramps have effects each time they are shot. Alice's voice works well, and sounds very bass heavy and creepy when you hear it in real life, as opposed to lots of the clips that are circulating, where it can sound a bit lifeless. In person, I think it's great. The sub in this game is HUGE. If you've heard the sound out of a TNA, they are using the same system, and it really blasts! I will say that I am trying to figure out a way to lower the effects a little, and raise the sound of the main mode music, but it looks like there is an option in the menu that isn't active yet (but should be in a future code update). Also, the songs for the modes are fun! They are different enough to give each mode an individual feel, and vampire and werewolf are two of my favourites. Layout and Gameplay: Guys, and I am being completely honest, the shots are NOT too tight. I am an average player (not terrible but not great), and I'm finding the shots to be challenging but completely makeable on a consistent basis. I have games where I am hitting combos like crazy (orbits to ramps to scoops), and other where I brick more often, but this is what makes the game challenging and FUN. When you do hit the shots, they are smooth, and the only shot that feels a little different is the secret passageway shot, because of the trajectory. I can't see the path it takes because it is hidden under the castle, but you can feel that it doesn't follow the path of a traditional inner orbit shot. It's very satisfying as well, but different than the left and right orbits, which are like butter. Then there's the upper playfield. I'm usually not a huge fan of upper playfields, but they really nailed it with this one. 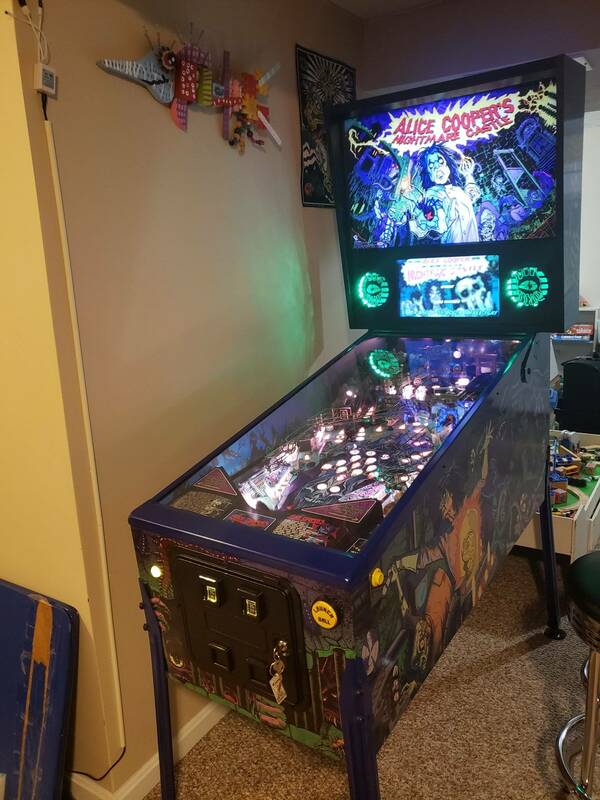 lots to do up there (kill the vampire in vampire mode, extra ball, bonus mulitpliers, drop target, second ball lock for frank multiball, cold ethyl, and the best shot, the guillotine ramp). The ball is surprisingly controllable up there and very bouncy, which allows you to keep it alive up there sometimes for a good amount of time (although admittedly, sometimes I lose it within seconds). 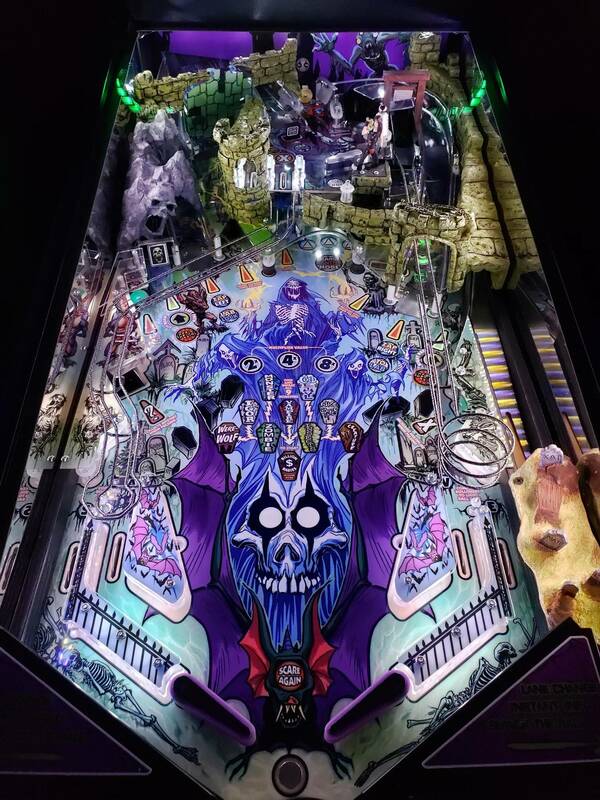 But the main thing is that the upper playfield it tied perfectly into the rules IMHO and makes it worthwile and fun to play up there when you need to. The rest of the layout is interesting as well, with three scoops and the awesome Denisi ball lock, which is always fun to hit. If you're hitting your shots, it can be a flow monster, and if you're not, it can be bouncy and unpredictable. Modes: Here is where the game really shines. The two main mulitballs (crypt and Frank) have objectives that are fun to play, and aren't just flail fests. You can also stack them together for a 3 ball experience (they are 2 ball multi's on their own). For Frank multi, you actually have to complete the objectives (3 ramp jackpots), as it is one of the modes counted towards wizard mode. The main modes are a BLAST! They are all so different and that's what really makes this game refreshing in my opinion. I've played each mode a fair bit over the past 2 weeks, and while I have my favorites, I never am upset with having to play a certain mode or try to avoid starting a particular one. 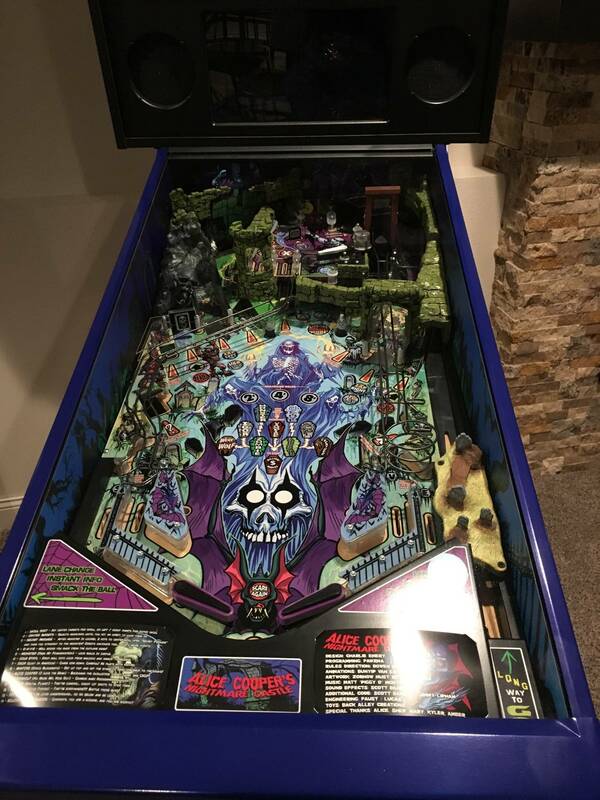 The rules really have you using the entire playfield, and the music and animations that accompany the modes are awesome! I also love that you can pick what mode you'd like to play, and even by default, each game starts with a different mode lit. 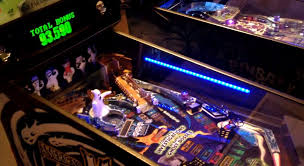 To start each mode, you have 3 options (hit orbits to work your way through the castle, hit the center monster targets 3 times and then shoot the secret passage, or advance to start monster from a mystery award), so you can even change the way you do that each time around. The callouts are funny and enjoyable and I can only guess that even more will be added with future updates (there are a lot in there already). There are small things I hope improve with future updates, such as letting us know how many guillotine shots we have made, as an extra ball is awarded after 10 shots. I also hope that we will be able to adjust the music/effects with future updates. I also think there should be things to do in each room while you travel through the castle. I remember reading something early on about collecting items in each room that will help when battling monsters. That would be a great feature, because right now, you just travel through the rooms to get to the monster and there isn't really anything to do while you are there (with the exception of the dungeon which has the fun 'stretch' shot at the guillotine ramp). But overall, as you can tell by my comments, I have been having a VERY fun time with this pin, and have already called dibs if/when my friend sells it. For all of you buyers waiting, my advice is to hang in there, it's already worth it and I have to imagine will be even more worth it with future updates! The absolute worst part about your review is that it makes me want this machine even more. All BS aside, nice write up. I concur. I’ve seen some of their stuff and generally it’s well done - but you can’t give a game a proper review after one or two games. These days an online review can sink/save a movie/pinball/car/whatever ... the average person these days is so influenced by other people’s opinions (why, I do not know ...) so it’s important to make the effort to actually do it properly. This came across as a mini-review, not a hot take. Dudes, that's why we're blowing this up. A "Hot Take" can be a useful teaser and I understand that these guys want to cover lots of territory -- and I appreciate their volume of work. But there's a responsibility to give a machine proper coverage; potential buyers DO watch things like this and make decisions with their $$$ based on these riffs. Buffalo should have treated their "hot take" as just that. Scratch the surface, promote it, and move on. No judgements until you actually spend some time on the machine. It's laughable that they would even discuss paying $6500+ to purchase a machine based on a handful of plays. Save that kind of question for the review, guys...or your hot take suddenly gains the weight of a full-on review. I look forward to their more in-depth review. What is Alice mode? 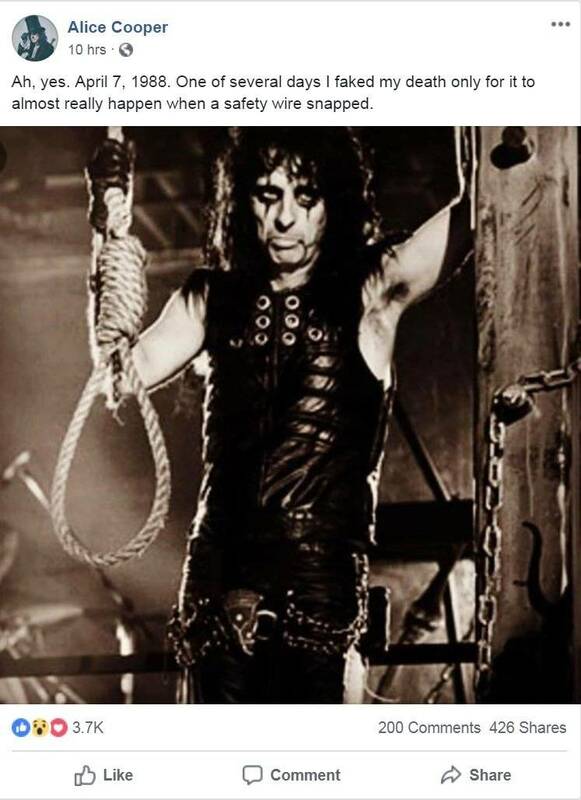 Are you talking about the Alice Cooper "monster" mode where you hit the guillotine? Agreed, though part of my frustration with it is how disposable entertainment has become. Used to be that we'd get an album and listen to the whole thing over and over, truly absorbing what the artist was going for (often times requiring re-listens to "get it"). Now we have so much available at our fingertips for free, that unless something grabs our attention INSTANTLY, we ignore it and we're off to the next thing. Same with video media. Just disappointing to think this "Hot Take" suggests we currently have so many options in pinball that some think it's not worth giving a machine a fair shake before moving on to the next. In my experience, things that quickly grab attention often fade just as quickly, where something that takes more time to get into is more rewarding in the end. Record store day is this Saturday haha!!! 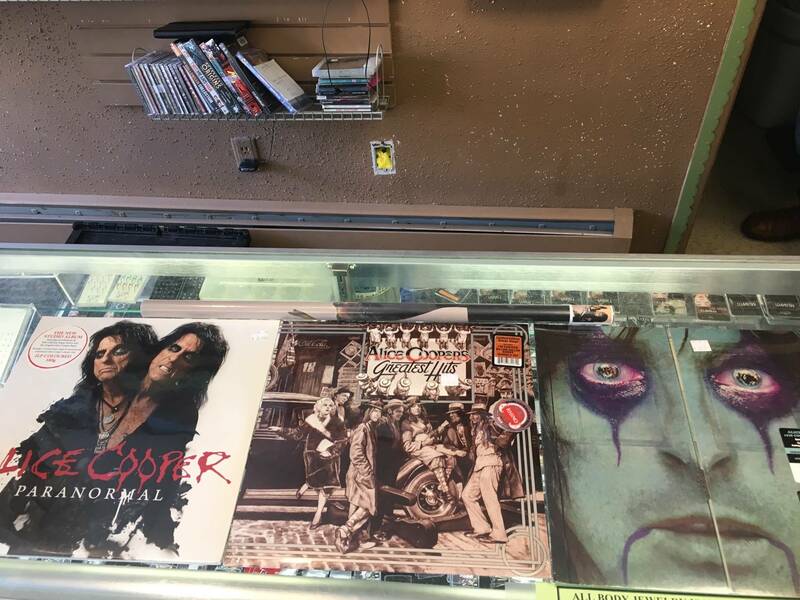 Special addition vinyl Alice Cooper on the list!!! Hang it up on the wall next to your baddass game! 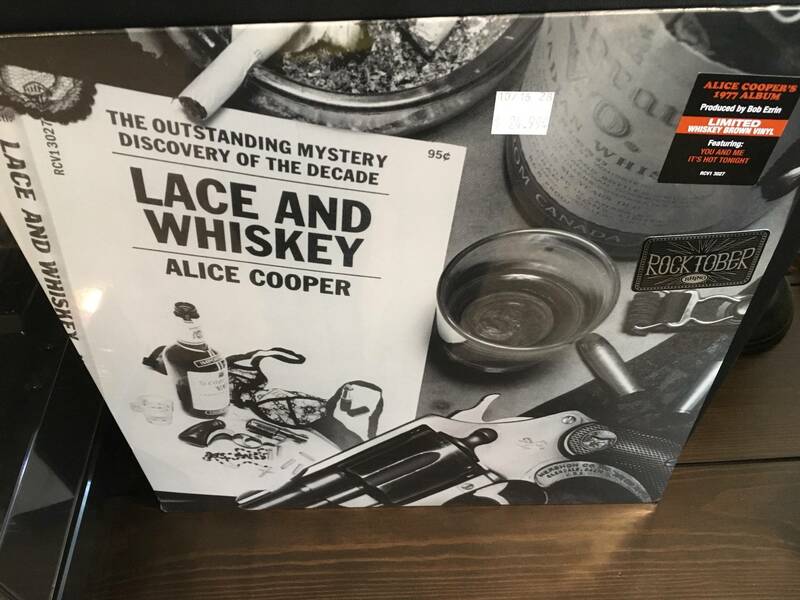 I do have a bunch of vinyl, but unfortunately only have one Alice album in that format (and it's my preferred way to hear some of those tracks [perhaps the vinyl version has a better mix/master?]). I'll at least look up the album they're offering. I'm wary of a lot of modern vinyl that essentially winds up being a rip of the lesser quality CD version without the vinyl medium in mind. Some nice Re-releases done for Rocktober and a few other events. Sound great. The shots are tight and the layout makes them feel tighter. There are a lot of dead post shots in ACNC. Even Bowen was bricking back to back shots at TPF and he is a pro. The pin was fun to shoot and play at TPF this year. P.S no way is it better than Iron Madain Premium or LE. I agree good pin but it was a 2017/2018 pin. I found the pin fun to shoot and play at TPF this year. Not saying there aren't bricked shots in ACNC for me, but my response was in regard to the 80% bricked shots claim, which isn't close to accurate. I don't have any issue with any of the shots (unlike RZ that has a right orbit shot that's a bit frustrating for me and doesn't feel very satisfying even when making it). And yes, my IMDN is the Pro, so the Premium does add some better variety with the evolving left and middle ramp (plus another mode), but it doesn't carry the same sort of magic for me. I like balls disappearing behind some nice atmosphere/sculpts and popping out somewhere unexpected (at least for those that don't know the rear magnet/subway, etc. exists). I completely realize it's a personal preference. Too many Stern games allow the player to ALWAYS know exactly where the ball is and what it will do. I prefer to be surprised. Not saying there aren't bricked shots in ACNC for me, but my response was in regard to the 80% bricked shots claim, which isn't close to accurate. And yes, my IMDN is the Pro, so the Premium does add some better variety with the evolving left and middle ramp (plus another mode), but it doesn't carry the same sort of magic for me. I like balls disappearing behind some nice atmosphere/sculpts and popping out somewhere unexpected (at least for those that don't know the rear magnet/subway exists). I completely realize it's a personal preference. Too many Stern games allow the player to ALWAYS know exactly where the ball is and what it will do. I prefer to be surprised. I find the ramps on Maiden to be no picnic to hit either, I think they're tighter than average. Bowen was bricking quite a bit of shots to those ramps in his Maiden tutorial as well. I was thinking this too. They don't look like they should be hard to hit (I could hit Met ramps all day), but I often brick the Maiden ramps (more than ANY ACNC shot, and I have way more games on Maiden). Agreed, 80% would be like having a wall with 1 tight hole to shoot at. It’s a fun pin for anyone that thinks it is not fun go play 10 full games back to back on Houdini then play ACNC and it feels like butter. Sorry Houdini fans but that pin is something else! For the record... I like lots of games and lots of styles... including Iron Maiden. I've also been smacking posts in AFM for years. Some games are super easy to shoot. Some aren't. Doesn't make anything better or worse, just different. I can fly through Scared Stiff on a regular basis... did it twice in 1 game last week and had a blast! Attack From Mars, I've beaten maybe twice in 15 years.... one day I'll beat it again. Also a blast! Different is good. Embrace it and enjoy what YOU LIKE. 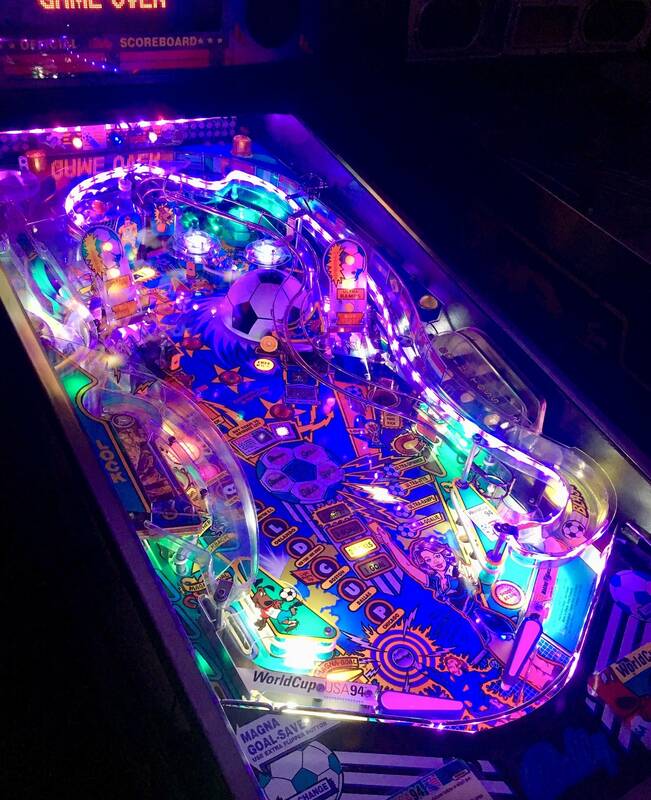 Peace, love, pinball. And I don't care if that sounds cheesy... we're from Wisconsin. Cheese head! Good to see ya at TPF. I agree not every game is for everyone. It is opinions that’s all. Buy or play what you like. Yep that’s why I plan on getting Iron Maiden next . 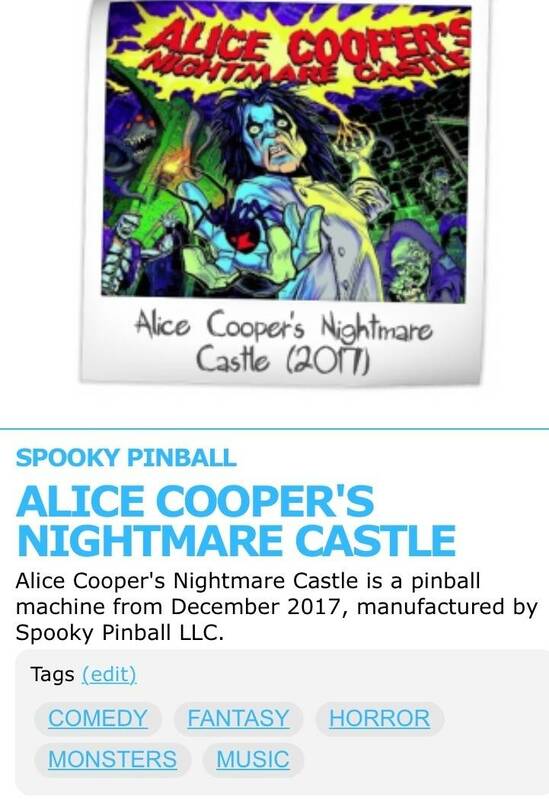 It will look good next to Alice Cooper. Agreed. IMDN has a very nice layout, but...not a great shooter, IMO. Both ramps and upper mini flipper are all difficult to hit consistently. Great pair. I'd be happy with either, which makes me wonder if I belong on Pinside. Seems like you have to pick a side between Spooky, JJP, and Stern. 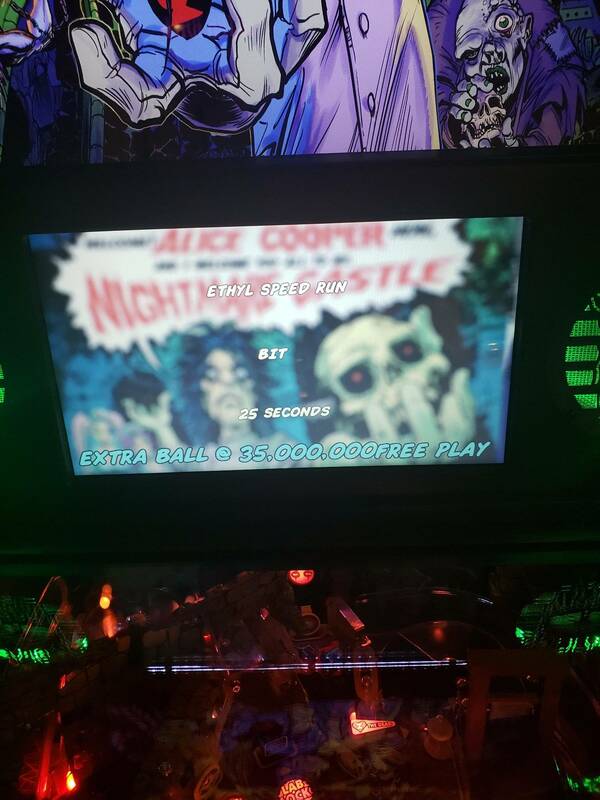 I just enjoy all pinball too much. This is why Charlie is the best! I’ve done a combo on the right orbit of RZ a couple times and it felt like reaching a wizard mode. It’s a tight shot but I’ve gotten better at it with practice. Just sent my final payment on #87. Hopefully should get it next month then. I'm ready! I'm on the hook and waiting for #184! Really looking forward to getting to know this machine; best thing I saw at TPF this year. Can anyone tell me, is there an easter egg in which Alice claims that Mil-ee-wau-kee is Algonquin for "The Good Land?" These should be shipping out steadily now, no? It sure sounds like they are to me. #54 was finished last week and waiting for me to pick it up this weekend! I will be a club guy real soon. Has this pin received knocker support yet? And this pin is awesome!!! Well, I won't be listening to any more of your lame podcasts! That's for sure! They provide good content to the pin community (freely available), so no reason to push them aside over one over-reaching "hot take." They're good for the hobby, and I'm sure they didn't intend to upset anyone. The point has been made, and I expect they'll be more careful in how to approach a "hot take" in the future. A podcast with a "hot take" is just as good as "breaking news" from the media. Usually wrong and worth little. Knocker alive and well. Replay and Match. This game sure makes a statement. Yes sir, snappy and loud! Number 54 is now home. A few audio tweaks and we are off. My 12 year old daughter finished Ethyl on her second game with speed run of 25 seconds...yeah, I won't be beating that. yeah, I won't be beating that. What is # 2 ?